I am flying MUC-BKK-MUC with long layover in Beijing both ways (14 & 19 hrs). We arranged tours for the Myanmar passport holders with 24 hours visa free. But we cannot guarantee that you can get the visa free as well. No one can guarantee that. It is all up to the immigration officers. They have right to stop you in the airport even was happened for the US passport holders. So if you want to be 100% sure, please apply for a visa in Chinese Embassy in advance. Thank you! 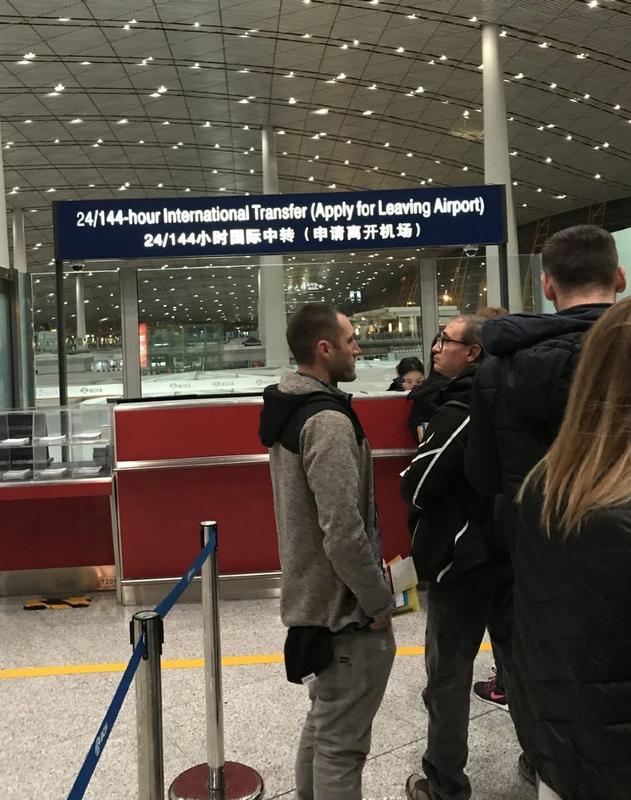 I am flying from New York, JFK to PEK arriving at 5:30 am on Friday February 22nd, I would like to join the 7 am – 3 pm Great Wall and Forbidden City tour, is this enough time for me to get through customs and obtain my visa and meet the tour? My flight departing PEK leaves at 5:30 pm Friday February 22nd. It is all up to how long the queue at the visa free counter. We can not make sure that you can meet our guide at 7am. And the group tour is not available for Feb. 22, 2019 yet. Because our group tour departure with minimum of 2 people. Will you travel alone? I have a layover in Beijing on Monday, March 25th. I arrive at 9:45 AM from Seoul and I depart at 5:00 PM to fly back to the U.S. (I am a U.S. citizen). That’s a 7 hour layover. I would like to see the Great Wall during my layover, but I’m also open to other tour recommendations. Please let me know what can be arranged, thank you! Please suggest the tour we need to do for going and returning. If you can provide detail how much for each person and how do I pay, I will appreciate. We just sent you an email about the tour options, please check it out. I will be traveling from New York City (US Citizen) to Bangkok, layover in Beijing for 8 hours arriving at 5:20 am. wondering if that’s enough time to do the Great Wall tour and whether we will be granted the 24 hr transit visa? I have a ticket from Istanbul to Melbourne with two transfers in China , first is Beijing second is Guangzhou. Total time in China is not over 24 hours. I have a Australian visa and I am a Turkish citizen. So am I eligible for 24 hours twov? Sorry, we do not think you can get the visa free stamp and get out of airport. But you can stay in the airport. You can try to apply the visa free when you landing Beijing. I’m planning to visit Beijing and Philippines next year. Due to our flight times, we will have a 13-hour-long Transit on our way to Philippines, as well as a four-days-long stay after our time in the Philippines (about 3 weeks later). Do you know, if it is possible to use the 144 hour visa free stay TWICE (on our way to the Philippines AND back), so that we can do a layover tour during our 13 hour Transit and come back three weeks later for a longer stay? According to your flight itinerary, you can get the visa free twice. We have to know your flights times, then we will know which tours are suitable for you. Hi, I’m Indonesian transiting via Beijing for about 23 hrs with my family. I do not hold any Visa. Can I enter China with Temporary Stay Permit visa during the transit time? And how much does it cost to apply the visa upon arrival? We arranged many tours for Indonesian passport holders who have a layover in Beijing within 24 hours without visa. But the airport have right to stop you in the airport without any reason even was happened for the US passport holders. So if you want to be 100% sure, please apply for a visa in advance. About how to get the visa-free permit. Please see details at: http://www.beijinglayovertour.com/beijing-layover-tour-tips/. It is free of charge.